Joe Figucia is a veteran Director of Photography with 26 years’ experience worldwide. He has lensed projects in 35mm, Super 35mm and 35mm Anamorphic, as well as most high definition video formats. He has shot internationally in Canada, Mexico, Chile, Europe, Egypt, the Philippines and the Caribbean. 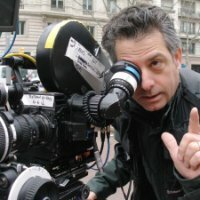 Joe's work has received numerous Telly, Cindy and Golden Slate awards, a gold medal at the International Film and TV Festival of New York, and a Best of Broadcasting award for Cinematography. He has acted as DP on commercial, broadcast and corporate programs for Fortune 500 companies such as Proctor and Gamble, Adidas-Salomon, GM, McDonald's and IBM. Recent assignments include longer format narrative and documentary projects such as the aviation security documentary Please Remove Your Shoes and the indie El Bolero, shot on location in Mexico City.